Netflix is one the best and most popular video streaming channels. Subscribing to Netflix enables you to stream TV shows and movies online on various devices. You can stream videos on your iPad, PC, laptop or Mac. Alternatively, you can download Netflix movies to iPad or to any other device for offline playback. A quick search on the internet will give you a number of free movie downloaders that you can use to download Netflix movies. However, many downloaders will disappoint you either because of their slow downloading speed or because of poor resolutions. You have no guarantee that the downloader will retain the original quality of the movie after downloading and saving it on your device. No worry! Here we will show you the best way to download movies to iPad from Netflix in high quality. Want a Netflix downlaoder for iPad? A Netflix video downloader like iTube Studio is best choice for you. It can help you to download videos from Netflix, Hulu, iTunes, and other sites that unable to download. Its in-built video recorder feature lets you record videos from any sites with original quality. 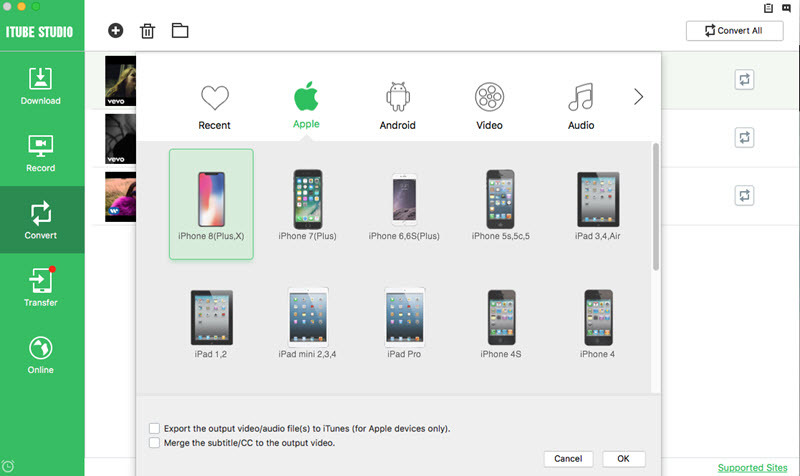 And you can convert the videos to iPad, iPhone, or any other devices. 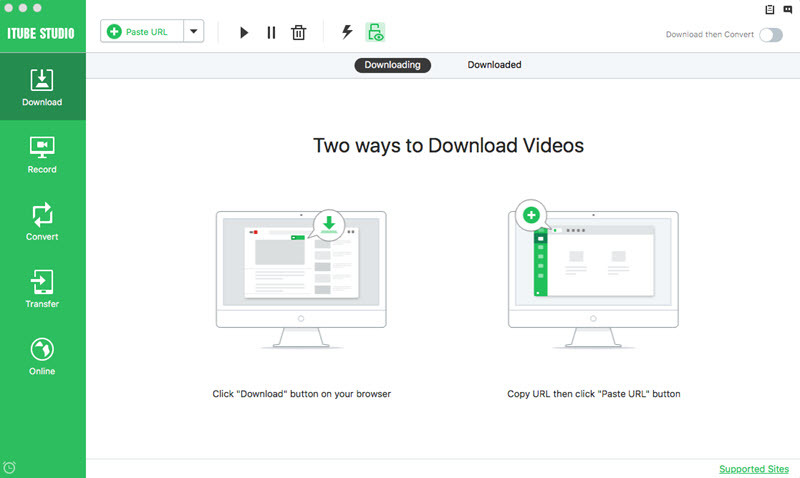 Downloads FLV videos three times faster than most video downloaders. Converts downloaded Netflix videos into any video or audio format. 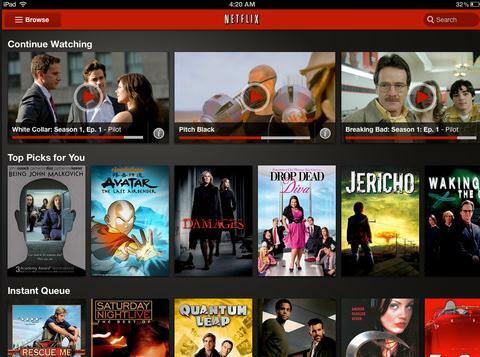 Allows users to download Netflix videos or other videos from more than 10,000 video streaming sites. Downloads videos directly from Netflix, YouTube, etc. and converts video to MP3 format automatically. 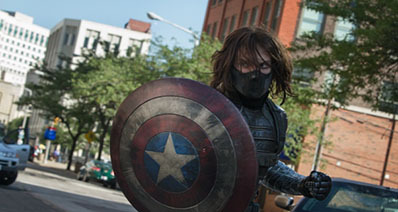 Records videos including movies, television shows, and tutorials in high quality. Download iTube Studio and then follow the instructions that appear on your screen to install this Netflix downloader. Alternatively, you can drag the installation file to your Applications and the program will be installed within a few seconds. Double click on the program to launch it and view its interface. 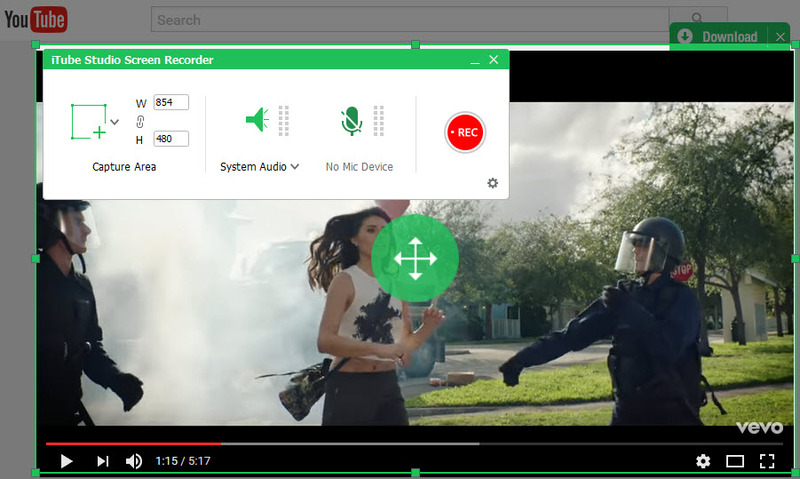 Click on the "Record Video" button that appears on the top menu of the program’s interface to open the video recording window. Log in to your Netflix account and choose the movie or TV shows that you wish to download to your iPad. Click the "REC" button on the program interface to start recording the selected Netflix videos. Notes: Remember that you can set the time when the program should stop recording the video. For instance, if you know the movie ends in two and a half hours, you adjust the recorder to this time and leave the program to record the video. Click on the “Downloaded” button that appears on the left column menu on the Netflix downloader’s main interface to select the movies you want to convert. And click "Convert" to open the conversion window. And then click on the "Apple", "iPad" to convert the Netflix movie to iPad. 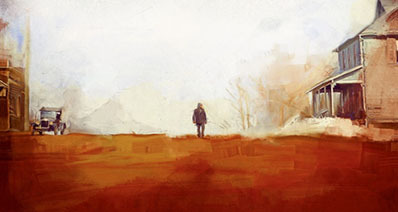 New videos are uploaded on Netflix every day. The easiest way to stay updated about new movies and TV shows is to download the Netflix App Download for iPad. Downloading the App is easy and fast. Here are useful tips on how to download and use the Netflix App. You can download the Netflix App either from App Store or from iTunes. Ensure that you get the official Netflix App for both options. Step 1: Download and install iTunes on your iPad. Step 2: Launch iTunes on your device and then open Netflix on the preview page. Step 3: Click on the “View in iTunes” button on the preview page. Step 4: Click the “Free” button on iTunes to start downloading the App. Step 5: Synchronize iTunes with your iPad. Step 1: Open the App Store on your iPad and search for the Netflix App. Step 2: Click on the “Install” button on the preview page. Step 3: Follow the prompts on your screen to install and launch the Netflix App on your device. After downloading and installing the Netflix App on your iPad, you can log on to your membership account and watch your favorite shows. You can watch limitless movies and TV programs on the App. You can also view all new episodes for your favorite TV shows and thousands of new movie titles. With the Netflix App, you can search for a video with its title and watch on your device instead of going through the long list of movies. You can start watching a movie or program on the App on one device and then continue from where you stopped in another device. The Netflix App allows you rate videos after watching. The App prompts you to suggest movie titles that may interest you. You will get a more accurate list as you continue watching films on the App. You can watch videos instantly or create queues to stream videos continuously. If you share your iPad with family members, you can set up to five user profiles on the App. Each user can customize his or her Netflix experience. Step 1: Connect your iPad to a fast and reliable internet connection and power. 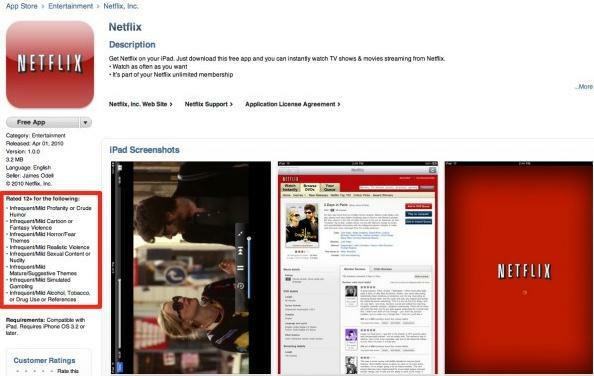 Step 2: Download and install the Netflix App on your iPad from the App Store or iTunes. 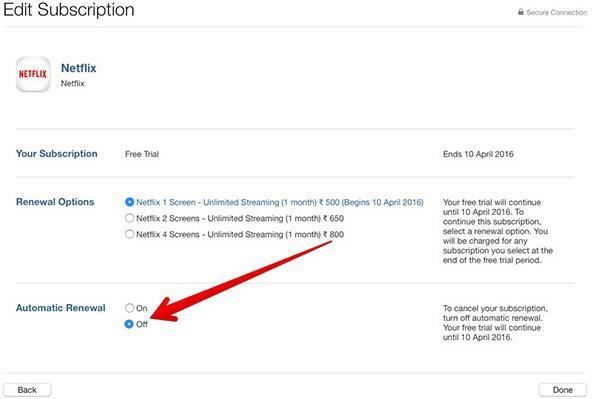 Step 3: Launch the App on your device and use your subscription details to log in to your Netflix account. 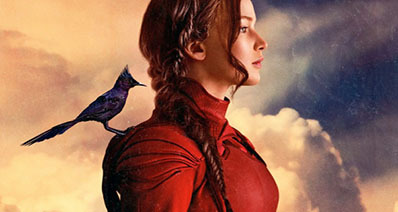 Step 4: Browse the list of movies and TV shows to select your first movie. Alternatively, you can search a movie or program with its title. Step 5: Rent the selected movie and watch it on your iPad.